Eileen Fisher is one of the women and brands I admire the most at the moment. 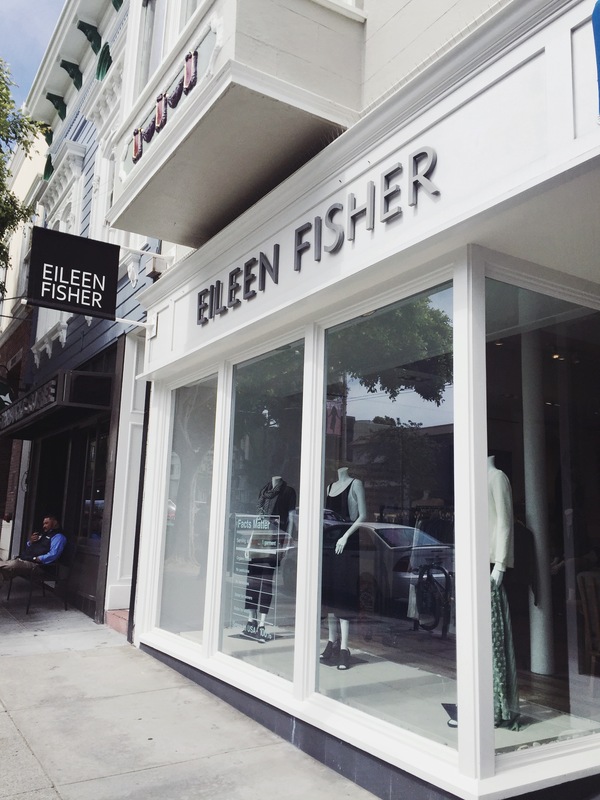 I watched Eileen Fisher at the Copenhagen Fashion Summit back in May and loved her thoughts on circular fashion and the need for collaborations across the industry. So naturally I had to visit one of her stores while in the US (I later realized they actually do have stores here in London as well). The quality of the clothes was as amazing as I had expected. And most of it way out of my budget. Luckily, there was a sale on and I found a few great basics in linen, hemp and organic cotton, which will be part of my summer wardrobe for year to come. The staff was friendly and while busy with other customers, one of the things that struck me (in this store as well as in all the others I visited) is that, as soon as you pick an item you want to try on, one of the sales assistants will ask if she should “start a changing room for you” – they then take the item and hang it in a changing room and when you’re ready to try it on it’s ready for you. Not sure if this is the norm in the US., but I haven’t tried it anywhere else and really love the service and interaction with the store staff this creates. 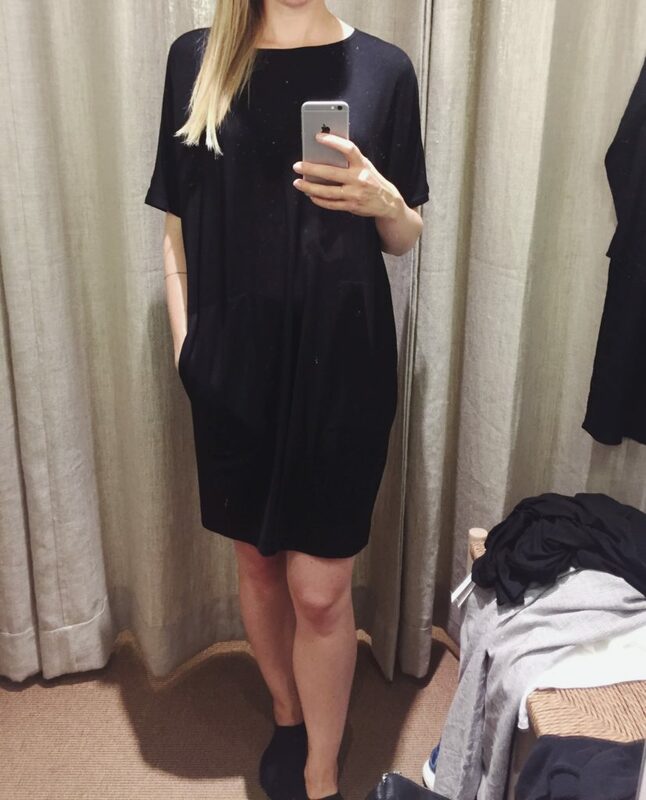 I found this viscose/cotton dress that I absolutely loved, but was curious about where Eileen Fisher sources their viscose from, so I asked the sales assistant. Unfortunately, she couldn’t answer my questions, but did tell me that sustainability is very important to Eileen and the brand and she would be happy to find out, but was pretty sure it wasn’t sourced from endangered forests (I checked and they are part of the Canopy Style Pledge, commited to change the current viscose sourcing practices). We had a really nice talk about eco fashion and their move towards swapping viscose to lyocell, re-designing old collections and a more circular business model, which is all really interesting. And I ended up getting the dress. A side note: One thing that really struck me when I first walked in was my surprise in being the youngest person by far in the store, staff included. Judging from the marketing material from the brand featuring urban, elegant women my own age I hadn’t realized the brand would be more something my mom would wear than my peers. Don’t get me wrong – I do not mind wearing the same thing as my mom (she got this backpack after me, and loves it as much as I do). 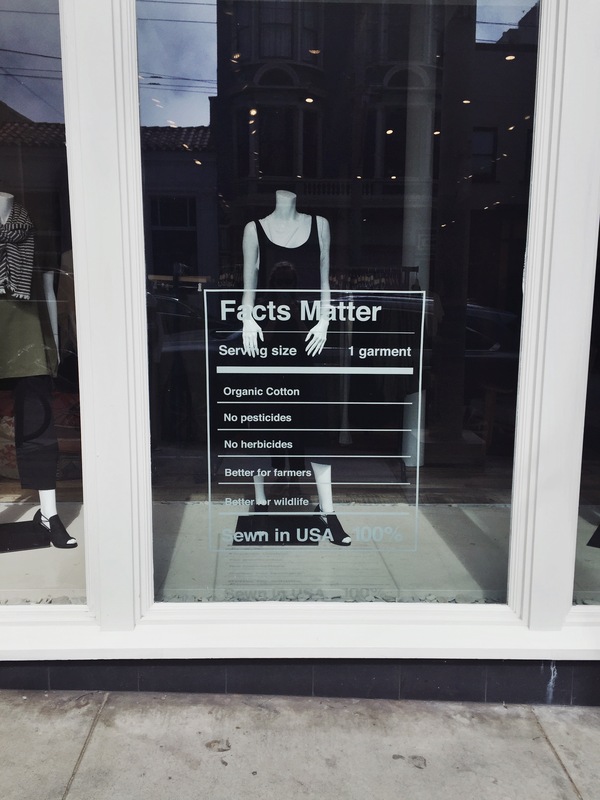 What bothered me a bit was the fact that if Eileen Fisher’s client base is women in their 40ies, 50ies and 60ies. Then why are their campaign models my age or younger? Is that our constant chase for youth? Or are they just trying to change their brand profile? Targeting younger women with younger models? I understand why their client base would be older women to start with; their clothes are classics, great quality and more expensive. But why is everyone in fashion targeting younger women at the start of their lives and with smaller means to spend on leisurely things such as clothes?